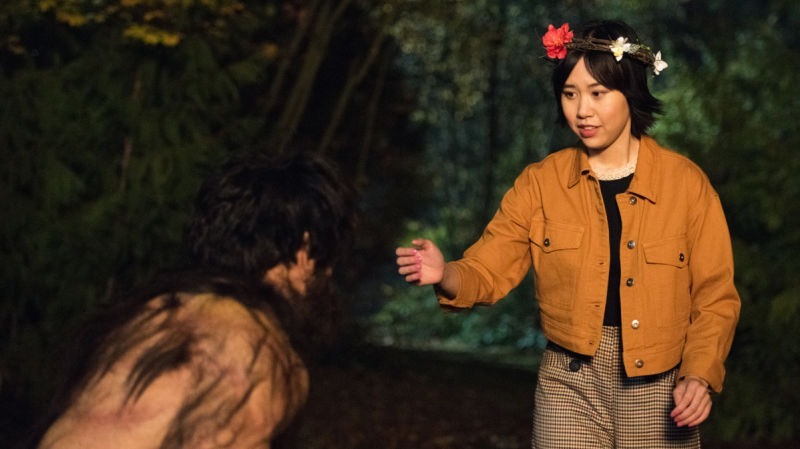 I wasn’t sure what to expect from the latest episode of Legends of Tomorrow; I suppose being spoilt with episodes such as the Kaiju effort, I was expecting some quite grabs for its return. This is a good episode but it isn’t great and could arguably be the lesser one of the season so far. Mexico 1961 looks great though, not that I have much knowledge but I can only assume that this is what Mexico and Lucha Libre wrestling looked like back then. As always, three parts to the story. For the majority of this episode, it is all about Mona, without spoiling anything you will find out why at the very end. It was certainly not something I saw coming and could make an interesting story going ahead. It was also nice to see some character development from Mona, having the episode set this way helped. Still, I wasn’t hooked and I was easily distracted watching. As is usual with a cast of this size, there are generally those who are left behind and not having much to do. 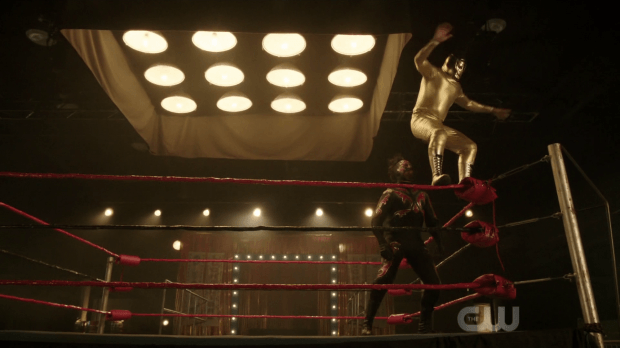 While this happens, there really is no sidelining as those left on the Waverider play their part in this story. As the heading suggests, Ray becomes ‘interim’ captain yet goes against Sara’s orders, but it all benefits the outcome. 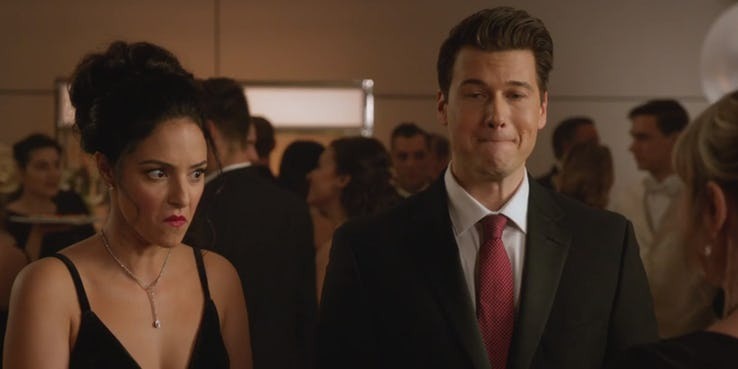 On the hunt for what Hank might be up to, it’s down to Zari and Nate to get together, attending a function in Hanks honour and tapping in to his communications to get an idea going forward of what he might be up to, after it has become apparent he is responsible for Konane escaping from the bureau. Fun ensues, especially from Nates mother who sees Zari as a companion for her son. I haven’t mentioned all the characters here but they all play their part in this episode. I’m usually gushing over the performances of Matt Ryan but he doesn’t have a massive amount to do here, neither does Charlie. Much, while not front and centre, does have a great moment, offering words of wisdom to Mona. Look out for a scene with Sara and Ava, talking through what’s going on while at the function, tension between the pair and a cameo from this seasons big bad. All in all this is nothing more than an ok episode. We have certainly be spoilt with this show during season 4 and compared to what has been before, this is tame. Not the best episode to have come back with. However, after seeing the trailer fort his half of the season I’ve no doubt things will chance. Comment below or on our social media pages if you wish.